Since recorded history began, trash handling has been done the same way. The formula went as followed: empty it whenever and wherever it’s needed. Full, overflowing trashcans waited for someone to take care of it; passing the problem onto to the next person. 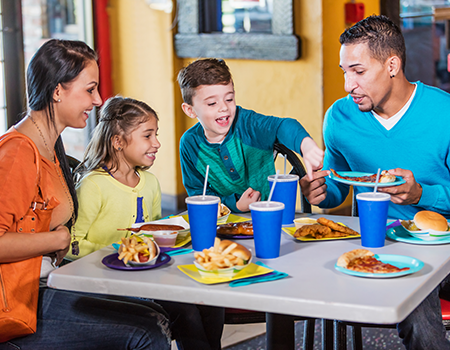 You don’t have to look far to see examples of over-flowing trash cans in restaurants, cafeterias, food courts, and restrooms. But you don’t see it at high-end hotels, fine-dining restaurants, and world-class experience destinations like Disney World. These luxury places spared no details in their creation, especially when it comes to waste handling. Luckily, we provide a shortcut to success in managing trash. A clean dining room outfitted with Original ecotrash compactors tells your guests “we care about your experience enough to give you the very best”. 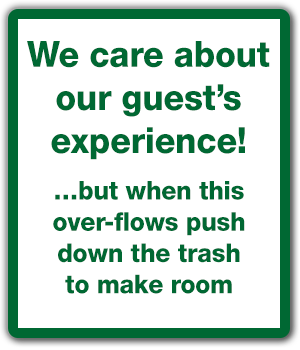 Which sign would you rather have describing your trash handling policy? The competition to hire and retain good employees is a full-blown talent war in 2019. With fewer candidates and rising wages it’s challenging to attract and keep quality employees who will represent your business to your customers. Emptying trash is among the least favorite employee tasks. Wouldn’t it be great if you could automate it? Original ecotrash automates trash handling by compacting waste and turning a 20-gallon container into one that can hold the equivalent of 240 gallons! Employees are able to stop baby-sitting trashcans and spend more time on the tasks humans are uniquely qualified to do; help customers. 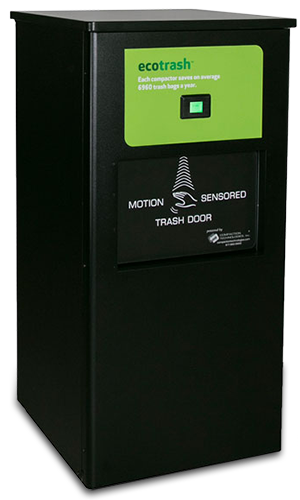 Original ecotrash reduces trash-handling time by 80 percent so your employees can maximize their time serving customers. In Quick Service and Fast Casual Restaurants, 80 percent of the trash in dumpsters originates in the dining room, and consists of light, fluffy bags. The other 20 percent comes from the kitchen and is wet, heavy bags. Adding Original ecotrash to your dining room dramatically reduces the volume of trash in your dumpster allowing you to decrease your level of trash service. 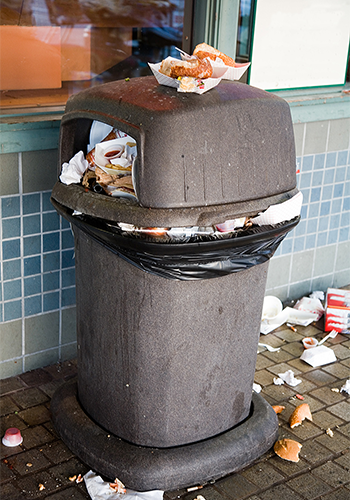 Less trash service means lower trash bills, fewer times the garbage trucks are blocking your drive-thru, and less garbage truck emissions. Original ecotrash compacts trash, which reduces the number of trash bags used and the frequency trash needs to be emptied. It’s no secret your customers appreciate solutions that promote sustainability and what better way to show your sustainability efforts than by reducing trash bag use by 80 percent? That amounts to 6,000 trash bags per year for the average QSR. 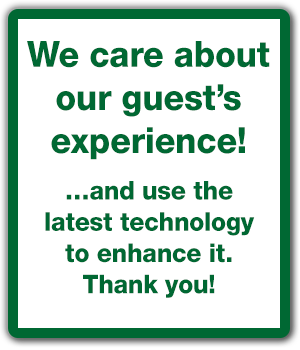 Your guests are reminded of it every time they leave your establishment.